When it is salty enough, it's seasoned to perfection. Use generously on anything you like to season. If too peppery for children, add more salt to mixture, then season to taste. Tip: To season seafood use half of above mixture and add: 1 tsp. powdered thyme. 1 tsp. bay leaf, and 1 tsp. sweet basil. 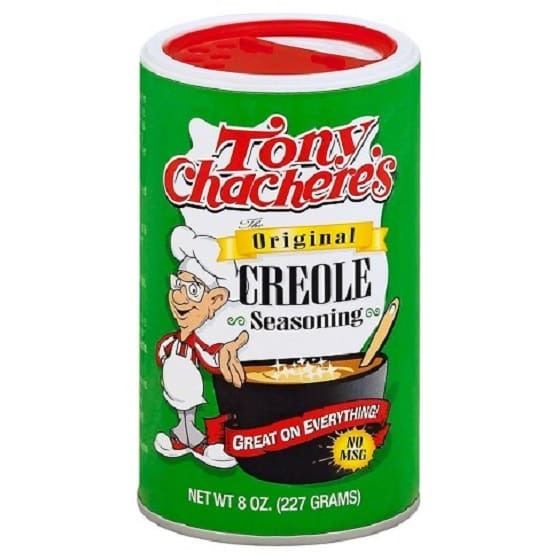 Makes 31 and 1/2 ounces of seasoning mix. Source: Tony Chachere's Micro-Wave Cajun Country Cookbook.